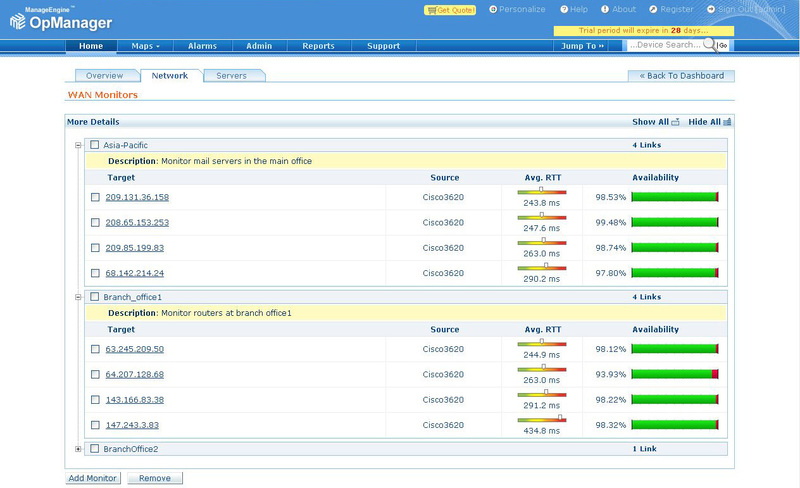 Now OpManager brings more powerful functionalities to the network manager's table with CISCO's IPSLA technology. 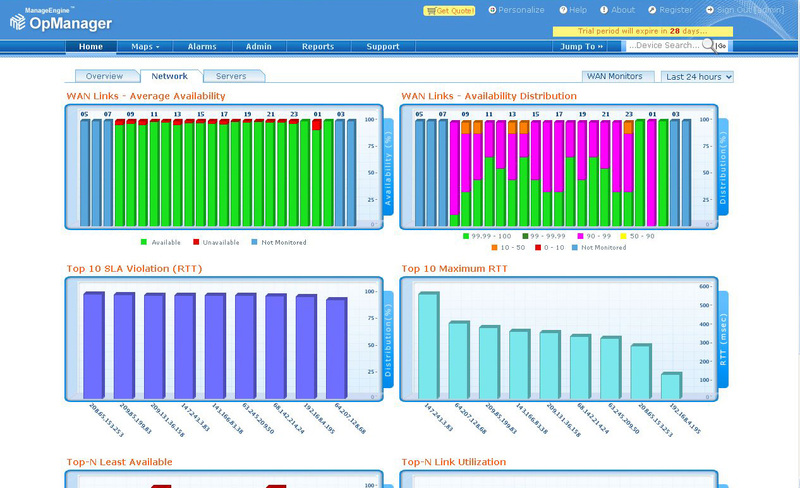 With the help of an intuitive network dashboard, OpManager brings links availability and performance information to the fore. 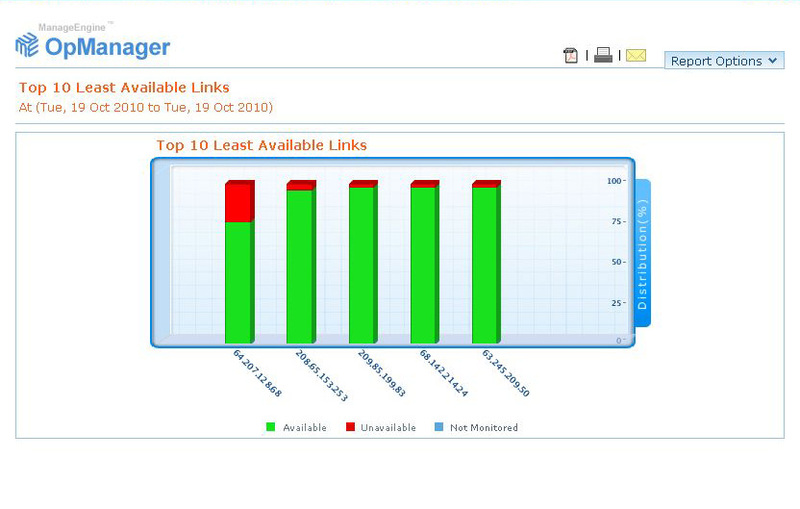 The average availability dashboard gives an immediate bird's eye view of the availability across the entire network in the specified timeframe, while the distribution chart shows the spread of availability within the same timeframe. Sometimes a terrible network quality may be just as worse as no availability at all. A round trip time of 200ms across a link where the expected round trip time is 60ms is definitely unacceptable. The top 10 SLA violation chart displays the recent locations that witnessed an unexpected communication delay. However, merely knowing that an outage or a delay has occurred is not sufficient. 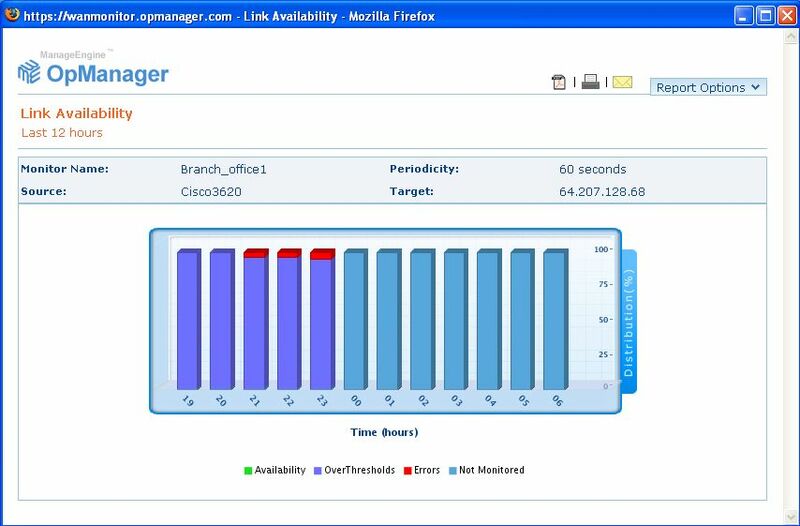 OpManager allows you to drill down to the map level displaying the various paths of communication between the source and destination and the round trip time across each underlying link. 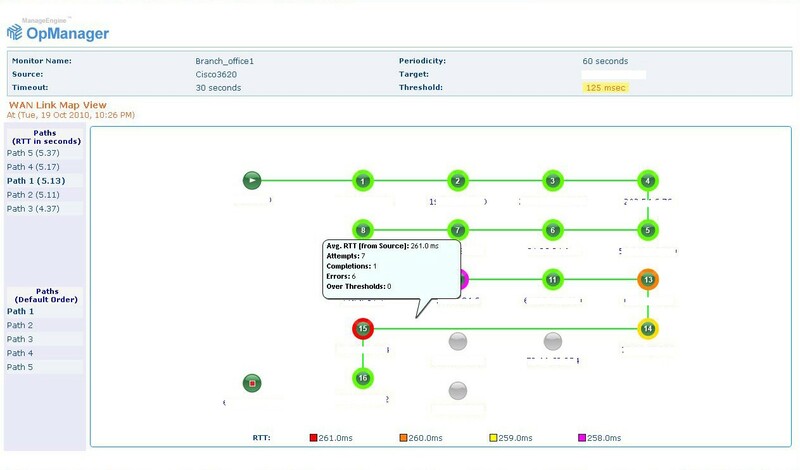 OpManager, with CISCO's IPSLA technology, monitors the round trip information between the various sources and their targets and evaluates them against the expected average round trip time. Consecutively, any RTT violation across a link and its impact on the performance of the channel and the network as a whole is realized and appropriate violation and performance degradation alerts are raised.